Raúl de Nieves: Fina, the first solo museum exhibition by Raúl de Nieves (b. 1983, Michoacán, Mexico), will feature new work in a site-specific installation developed for the Cleveland Museum of Art at the Transformer Station. Narrative facets of the installation will be informed by de Nieves’s experience of Mexican cultural traditions, considered through the lens of this moment in history. These will unfold in relation to the particular architecture of the Transformer Station. As a whole, the installation will be characterized by the artist’s ongoing interest in transforming humble materials into spectacular objects that alter the spaces around them. De Nieves, who lives in New York, traces his artistic practice back to his childhood in Mexico: at school and alongside family members, he learned traditional Latin American sewing and beadwork that now permeate his art in multiple ways. At the age of nine de Nieves migrated to San Diego with his mother and two brothers. Later he moved to San Francisco and finally to New York, where his multimedia practice, including painting, sculpture, and performance, has taken shape. De Nieves has presented solo projects and performances at The Kitchen and the Watermill Center, New York (both 2017), and the Institute of Contemporary Art, Philadelphia (2016). He has participated in major contemporary art surveys, including Documenta 14 (2018), the 2017 Whitney Biennial, and Greater New York at MoMA/PS1 (2015). His work is part of the Swiss Institute for Contemporary Art’s inaugural exhibition in its new building that opened in New York in summer 2018. This entry was posted in Exhibition, Uncategorized and tagged 21st century, bead, Cleveland Museum of Art, Contemporary art, Fina, Mexico, multimedia, New York, Raúl de Nieves, San Diego, traditional crafts on February 2, 2019 by costanzabeltrami. Call for Papers: Annual conference, 17-20 March 2016. Venue: Maritime Museum of San Diego and the University of California, San Diego. This entry was posted in Conference and tagged 2016, ASPHS, Association for Spanish and Portuguese Historical Studies, San Diego, San Diego Maritime Museum, University of California on September 26, 2015 by Clare Hills-Nova. 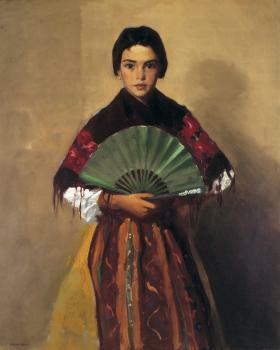 Sorolla and America, Meadows Museum, Southern Methodist University, Dallas, 13 December 2013 – 19 April 2014; touring to San Diego Museum of Art, 30 May – 26 August and finally Fundación MAPFRE, Madrid, 23 September 2014 – 11 January 2015. Exhibition curated by the artist’s great-grandaughter Blanca Pons-Sorolla , presenting over 100 paintings, oil sketches and drawings, by Joaquín Sorolla y Bastida (1863-1923) covering his early socially realistic themes as well as his better known landscapes and beach scenes. Exhibition focuses on key American collectors Archer Huntington and Thomas Fortune Ryan and the impact on the artist and American cultural society of the exhibitions he held in the States in 1909 and 1911. Accompanied by bilingual English/Spanish editions of the catalogue. The exhibition and its catalogue (by the artist’s great granddaughter and Mark Roglan, Director of the Dallas Museum) have received an enthusiastic and thoughtful review by Richard Brettell in April’s edition of The Burlington Magazine (pp 267-269), which makes interesting comparisons with other recent Sorolla exhibitions over the last decade. This entry was posted in Uncategorized and tagged Collecting, Dallas, Exhibitions, Fundacion Mapfre, Meadows Museum, San Diego, Sorolla on May 18, 2014 by Clare Hills-Nova. Spanish Sojourns: Robert Henri (1865-1929) and the Spirit of Spain, San Diego Museum of Art, California, 29 March – 9 September 2014; and touring to Mississippi Museum of Art, Jackson, 2014-2015. The first exhibition devoted to the Spanish paintings by Henri, one of America’s ‘Ashcan School’ of artists, who travelled around Spain seven times between 1900 and 1926. Exhibition of 40 paintings, mainly portraits ranging from celebrated bullfighters and dancers to gipsy women and peasants. The exhibition is accompanied by a catalogue in hardback, which presents new scholarship on Henri and places his Spanish work in the context of other American artists, architects and writers inspired by Spain at the beginning of the early twentieth century. This entry was posted in Spain and tagged Exhibitions, Jackson, Mississippi, Robert Henri, San Diego, Spain on May 18, 2014 by Clare Hills-Nova.